Police, firefighters, soldiers, and first responders on all kinds step into unknown and potentially dangerous situations every day. Their jobs could be made infinitely safer if they were able to see what was waiting for them before walking into the unknown. Bounce Imaging is a start-up company with a product that would make work a little safer for these folks by giving them a panoramic preview of what is waiting for them. 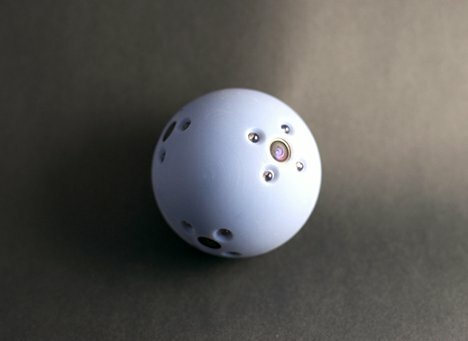 The Bounce camera is, not surprisingly, a bouncing ball-shaped device with six embedded cameras. First responders throw one of them into whatever dangerous situation they might be there to control. As the Bounce bounces like a tennis ball, it snaps two images per second and beams them back to a laptop on the outside. The associated software quickly stitches the images together into a panoramic view of what’s happening inside, giving first responders a clear idea of what is waiting for them.